Alright, let's go, grab your shoes, some water, a sweater and follow me. You won't regret it. And if you do...well, too bad for you ! 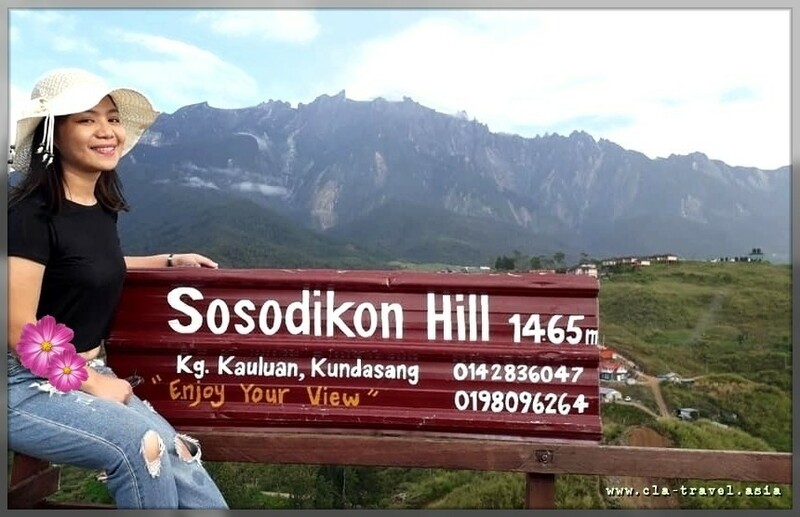 So, here was my story on last Saturday ~ went to Sosodikon Hill, Kundasang Sabah. 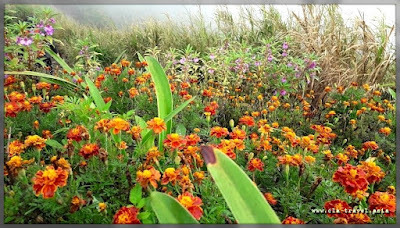 These hill are located about 5 kilometre from Kundasang town, on the same road to Desa Dairy Farm and Mount Kinabalu Golf Park. 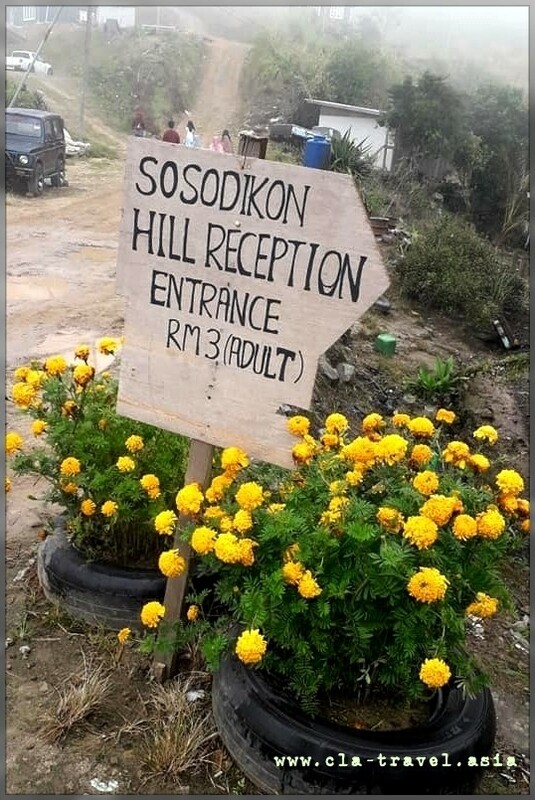 The right turn to Sosodikon Hill is located barely 50m away from left to the well known Desa Dairy Farm. 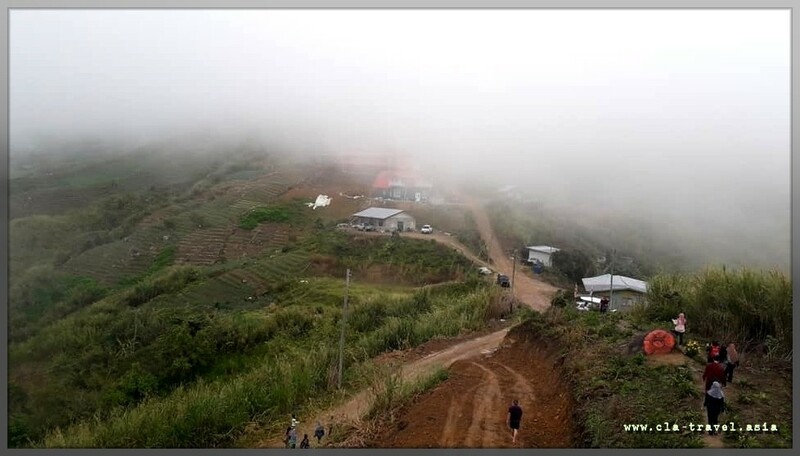 But, the road to the base of the hill is narrow and can be rough. One can choose to leave their car just off the main road, and leg it from there. The actual climb takes only 20 minutes or less. What awaits you is the unique pyramid shaped hills to your south and the mesmerizing Mount Kinabalu to your north. 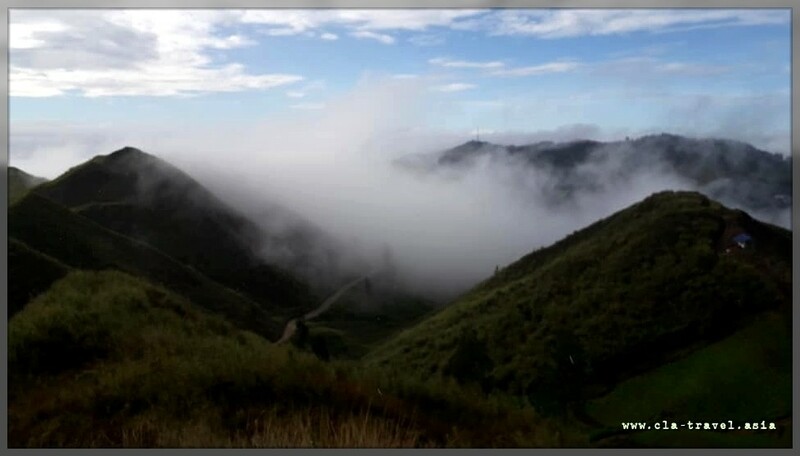 Yes, on both right and left sides, you'll see the beautiful valleys of Kundasang. Walk my way through the hill and remind myself that we are such a small thing on this planet, that everything we do as an impact. Mother Nature will win ! you better take care of her. 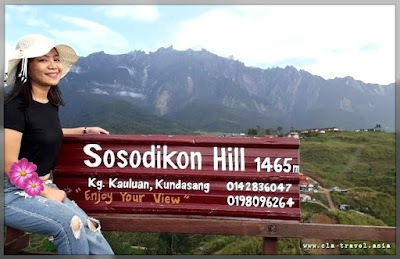 Sosodikon Hill is good for a short hike in Kundasang with a majestic view of Mt Kinabalu (if weather permits), pyramid hill and Kundasang town. 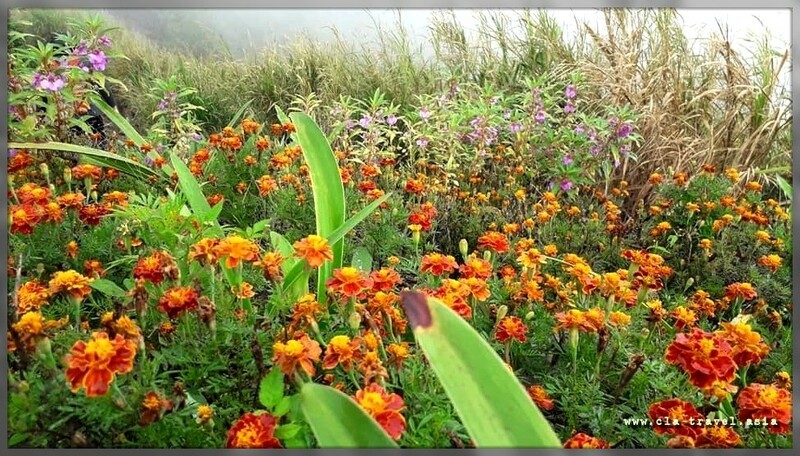 Sosodikon hill(s) consist of two hills and is easy for kids. RM 3 fees is charged per adult and RM2 for children under 12. Yes, take a break, like, for real ! And taking your time allows you to reconnect with all the little things life has to offer to you that may come unnoticed in your everyday life. May it be the calm and silence of these landscape or the sound of the wind going through the trees. You refocus yourself on what is important to you, that connection with the environment, realizing that happiness is as simple as this. And so I am fully ready for adventure...to be continued in the next article ! Cantiknya view..Orang sabah mesti tak teringin pun nakgi cameron Hignlands kan? ?ahhaha..sebab kat sabah dah cukup cantik kot..
Wow! Maa, best sangat kat Sabah. There are a lot of places to explore in Sabah rasa nak pergi juga. Nak datang sini jugakkk.. pemandangan memang cantik kan..
First time sis dengar nama Sosodikon Hill ni..nampak tka banyak tempat kat SAbah yang sis tak tau dan patut tahu..hey..meh la jadi tour guide sis..cantik betul pemandangan kat sini..sekarang memang sis perlukan ketenangan untuk speedy recovery..
terasa nak pergi ni.. begitu cantik sekala pemandangan... let's go and hv a look for real..
Gambar last tu! Cantiknya view siap ada kabus sekali haaa. Lawa! <3 Berbaloi naik atas tu kalau pemandangan lawa camni kan. Nad setakat ni tak pernah jejak lagi tempat-tempat dekat Sabah hehe. Tengok macam banyak tempat yang best. Must visit in Sabah. Last I went to Sabah only for 3 days 2 nights . So no chance to even explore around . I love to re visit and add this place as my itinerary. The view is awesome. Cantik giler view kat sana. 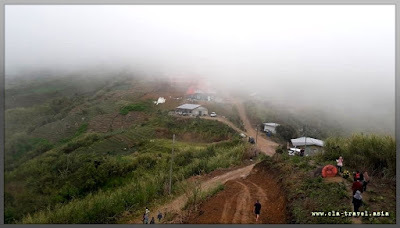 Pernah baca pengalaman beberapa orang kawan ke Kundasang. Sejuk dan cantik kan kat sana. Teringin nak ke sana satu hari nanti. 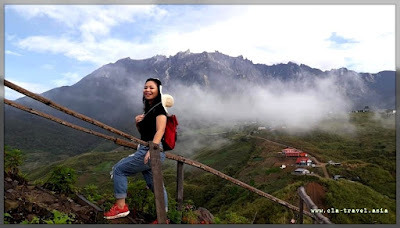 I went to kundasang a few years back but never know about this place. I love to see the view! It's stunning. I will be there soon. huhuhu. Thanks for suggesting this place! ahhh i have been to kundasang long time ago! such a nice place with nice scenery and fresh air! and the wind is quite cooling too!